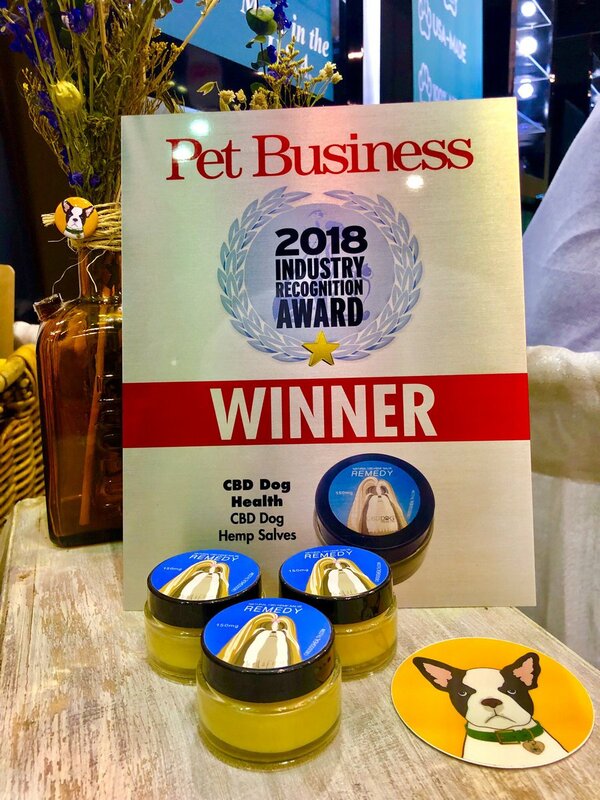 If you have given your pet CBD products and found yourself unsure if they are working, or how long it takes to work, you are not alone. In fact, although many dogs show changes right away, some dogs take a bit longer to feel the effects of CBD because endocannabinoid receptors are unique in each dog. Just like every human has a different reaction to different medications, so do our pets. You may be tempted to throw out your CBD products if you don’t see changes right away, or might be wondering why CBD didn’t work for your pet. If you fall into either of these categories, don’t give up until you have tried our tips to get the most out of your CBD products. Like humans, animals are all unique. While the dosage on the package may work for one dog, it may be too little or not enough for another dog. The differences can be caused by a variety of factors, including weight, size, or age of the dog. In some cases, differences can be the result of cells communicating at different speeds in the endocannabinoid system. It may take a few days, or even weeks, of trial and error while you adjust the dosage to find the right amount for your specific pet. I always love to share how much my dogs take, because they have such a huge difference regardless of their size. My large Doberman takes 1 dropper of CALM and relaxes right away. But my tiny 10 pound schnauzer needs 2 full droppers of CALM and about 20 minutes before he starts to feel the effects. You may also need to give CBD to your pet more than once a day. Some dogs benefit the most from taking CBD two to three times a day if they have a faster metabolism. You may also find that your pet gets maximum benefits by taking CBD oil tinctures during the morning and evening, and enjoying a few CBD treats during the day. Remember: your pet cannot overdose on CBD. The only side effect you may experience from using too much is that your pet may become sleepy, and in rare cases may experience diarrhea. When your pet suffers anxiety, they may be resistant to the calm feelings CBD gives them at first. For example, a dog who is afraid of thunderstorms will feel calm when using CBD oil, but the behavior of pacing or barking may be engrained in them. At first, your pet might be resistant to their behaviors changing. However, with consistent use, they will learn to relax into the effects of the CBD and you will see a difference. For dogs with more severe issues, like frequent seizures or joint pain, they may need a few days or even weeks for their body to become used to the CBD and to start experiencing maximum benefits. Much like supplements people take (think of fish oil or iron supplements), many of the benefits take effect more strongly as it builds in your system. While CBD can stop or shorten seizures while your pet is actively having a seizure, in order to see the maximum benefit, you should stay consistent and administer CBD every day. The endocannabinoid system works by helping the cells communicate to resolve an issue. However, if your dog is having an allergic reaction, like an allergy to food or an environmental issue like grass, the allergy will not fully resolve with CBD. CBD will treat the inflammation being caused by the allergen which will resolve the symptoms, but until you remove the allergen itself, the problem may return when your pet does not take their daily dose of CBD. This may lead you to feel that the CBD did not work because the pet still has the issue when they stop taking it. If your dog is experiencing internal allergies, food is often the culprit. Start by switching your dog to a mild dog food. Our favorite is V-Dog, a vegan dog food for all ages. Stick to the mild diet only for about a week, and then start slowly introducing foods back into your dog’s diet to discern what is causing the inflammation and pain. Keep using CBD while you go through this process to help your dog maintain a sense of balance. If your dog is allergic to external factors, like grass, make sure to wash their paws off in water when they come in from outdoors. CBD salves can be beneficial to combat skin irritation and will provide instant relief. For skin issues, you may also find a maximum benefit by using both a salve and an oral tincture. The main thing to remember is that every pet has a different response and reaction time, and if your pet is not showing results immediately it is okay. That does not mean they will never see results. Keep trying to find the cause of the issue and using CBD to heal the issues and you will see a difference. If you have questions about how to safely use CBD, please visit this FAQ page. To learn more about homeopathic treatments for your pets, visit www.angelaardolino.com. Angela Ardolino has been caring for animals since she was 8 years old and has operated a farm rescue for over 10 years. She also is the owner of Beautify the Beast a natural pet salon and spa, and the founder of CBD Dog Health. Angela is an expert in medical cannabis and has dedicated her life to providing all-natural relief for pets of all kinds. She has three dogs of her own, with as many as 4 to 10 in residence when fostering or boarding at Fire Flake Farm (www.facebook.com/fireflakefarm). To learn more about Angela and her pets, visit www.angelaardolino.com.